Building # 19 on the map. Have you ever wondered what turns a bland lump of salty curd into the amazing diversity of flavors, aromas, and appearances exhibited by the hundreds (if not thousands) of cheese varieties? More often than not these characteristics are initiated and controlled by organisms populating the surfaces of each cheese. Given that, how much do we know about what is happening on the cheese rind? Not much, it turns out. Cheesemakers *think* they know what happens when this mold is added, or a cheese is put into that cave, but microbiologists at Harvard’s FAS Center of Systems Biology have been testing these assumptions and finding that the cheese surface is a much more diverse environment than we could ever have imagined, involving some “usual suspects” as well as utterly alien influences. This year the Guild has been able to schedule a member of the FAS lab, Benjamine Wolfe (who has worked with the Cheese Nun to figure out the secret lives of Geotrichum candidum) to visit Maine and update us on their research and findings as part of our May meeting to help us better understand our own aging situation, causes, and effects. 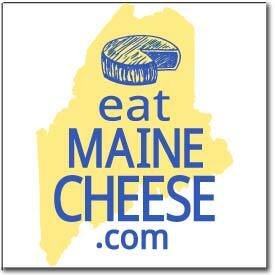 COST: This lecture is FREE to Maine Cheese Guild members. Non-members will pay $25 at the door, and their lecture fee will include membership in the Maine Cheese Guild. 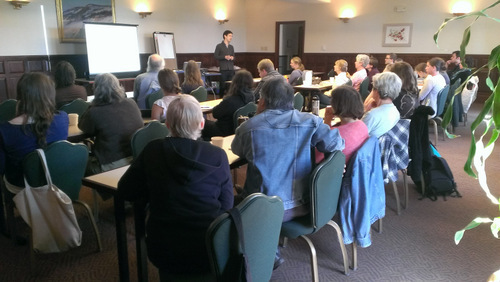 Posted in Guild, Learning and tagged affinage, Aging, cheesemaking, natural rind, workshop. This is definately the best TITLED workshop we’ve had. will there be a bus ride?